She is persistent and very protective. 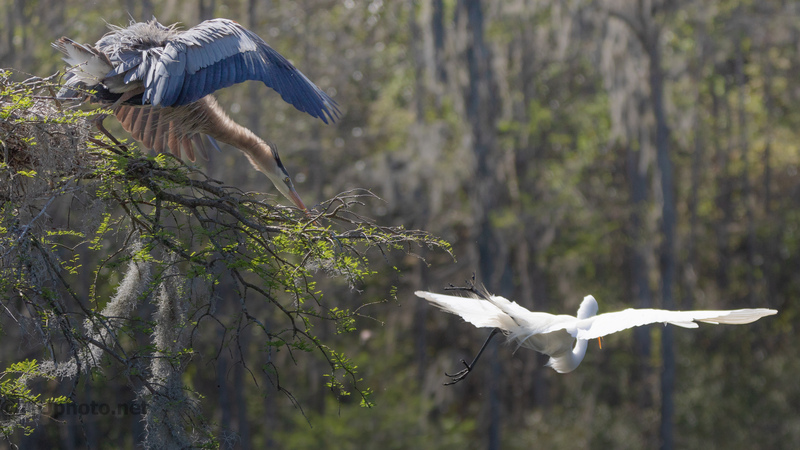 Egrets don’t give up easily either. This Great Blue Heron sits here very quiet and suddenly when some line has been crossed it’s loud and fast. 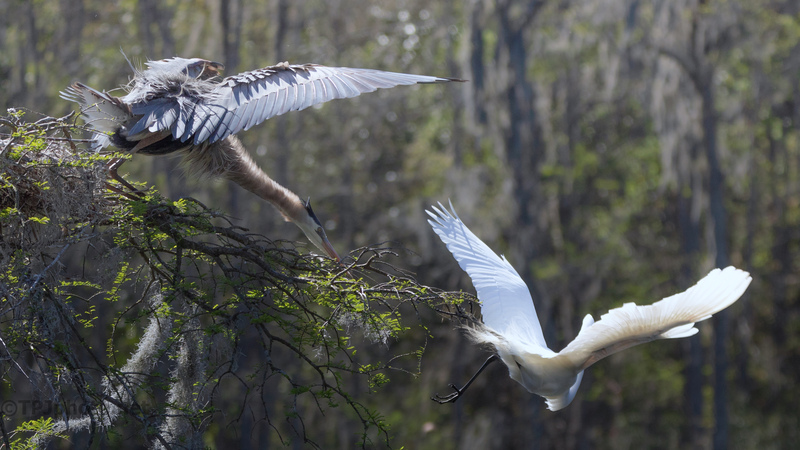 Both birds have dangerous beaks so adults don’t attack very often. She obviously was very angry.